Perception is a complex phenomenon that results from the interpretation of sensations caused by the surrounding stimuli either simultaneously or one after another and their stimulation into memory. The concept of perception requires a stimulus before acknowledging its environment. It is possible to summarize that the stimuli cause sensations and, as a result, each sensation leads to a perception and understanding. The expectations of individuals from the current situation, their previous knowledge and experiences, social and cultural factors all have an effect on perception. Organizing all this knowledge and experiences gathered by perception is an educational problem. However, these observations about our environment may be organized as significant, that is to say; accurate knowledge and experiences as a result of a suitable education. Visual recognition is realized by the recognition of stimulant effects resulting from the environment. These stimulant effects are recorded into long-term memory as information. The designer must have a visual intelligence, because the enrichment of a visual memory is based upon an improved visual recognition. This study aims to explain the effects of differences between the levels of knowledge acquisition on perception. The study involves a group of 30 students from the Department of Interior Architecture and Environmental Design in Selcuk University. First, the students are divided into three equal groups. The purpose of this grouping is to instruct students in each group with different subjects and at different levels before starting the research and to examine how this knowledge affects the perception levels and creativity of students and what differences it causes to. In order to investigate the guiding effects of instruction at different subjects and levels in perceiving and visualizing, the ability to use/interpret the data and the connection between perception level and creative thinking, the students are asked to read the architectural project of rectorate building of Selcuk University located in Konya province and to write down their observations into their sketch books freely by using the techniques they know. As a result of the study, it is determined that the differences during knowledge acquisition also affect the perception of students in a different way. 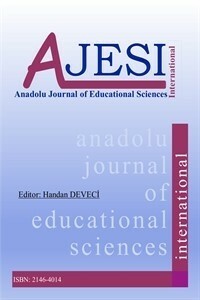 Besides the fact that planned use of visual expression techniques led students to have a holistic approach when perceiving, the lack of theoretical knowledge made it difficult to visualize their perceptions and focusing on background knowledge caused to have a limited representations in detail by the students. Atkinson Rita, L. vd. (1996). Hilgard’ S Introduction To Psychology, Cenevre: Harcourt Press, 12.B. Aydınlı, S. (1992). Mimarlıkta Görsel Analiz, İstanbul: İtü Mim. Fak. Baskı Atölyesi. Baker, J. (1986). “The Role of the Environment in Marketing Services: The Consumer Perspektive”, In: Czepiel J. Et. Al., Editors, The Services Challenge: Integrating for Competitive Advantage, Americen Marketing Association, Chicago. Başkaya, A. vd. (2003). Mekansal İmaj Üzerine Bir Deneme, Ankara: Gazi Üniv. Müh. Mim. Fak. Der. Yayınları, Cilt 18, No 2. Caudwell, C. (1974). “Yanılsama ve Gerçeklik” Payel Yayın Evi, 167, İstanbul. Lang, J. (1987). Creating Architectural Theory, Van Nostrand Reinhold, New York. Morgan, C. T. (1984). Psikolojiye Giriş, 8. Baskı. Odabaşı, A. vd. (2002). Grafikte Temel Tasarım, İstanbul: Yorum Sanat Yayınları. Oskay, A. vd. (2003). A Research on the effects of methods used in Architectural education on the perception level, international conference on ınnovation in higher education, 16-19 May, Kiev, Ukraine. Türkyılmaz, E. vd. (2011). Bilgilenme düzeyinin algılama üzerindeki etkilerinin irdelenmesi, Mimari tasarım eğitimi:bütünleşme sempozyumu, Y.T.Ü., İstanbul.